The Groovus Maximus Project was started by Tulsa musician/producer Chris Bell as a one stop shop for music and audio production. With the experience of recording many different styles of music comes a perspective that is well tuned to helping artists find their sound. We offer numerous audio recording options including mobile recording, meaning we come to you! The Groovus Maximus Project was started by Tulsa musician/producer Chris Bell as a one stop shop for music and audio production. With the experience of recording many different styles of music comes a perspective that is well tuned to helping artists find their sound. We offer numerous audio recording options including mobile recording, meaning we come to you! This website is designed for all of your music production needs. With my years of schooling and learning I aim to please. Wether you're looking for beats for sale or even radio edits I have you covered. If there is anything you have questions about, just contact me in the menu bar at the top of the page. Remember I'm in Rock Hill, SC but it usually does not take me long to reply so stand by. In closing subscribe to my mailing list for discounts. This website is designed for all of your music production needs. With my years of schooling and learning I aim to please. Wether you're looking for beats for sale or even radio edits I have you covered. If there is anything you have questions about, just contact me in the menu bar at the top of the page. Remember I'm in Rock Hill, SC but it usually does not take me long to reply so stand by. In closing subscribe to my mailing list for discounts. Looking for Portraits, Graphic Design Artwork or maybe, Music production for almost anything? Contact us for more details, discounts, offers and fun! Looking for Portraits, Graphic Design Artwork or maybe, Music production for almost anything? Contact us for more details, discounts, offers and fun! Your home, your instrument, and classes done your way. From private music lessons in the comfort of your own home to production workshops in our studio in Silver Spring, Creative Music Lessons can increase your creativity and complete your education. Music lessons on Piano, Guitar, Vocal, and Production taught in your home. Workshops and classes at our audio production studio in Silver Spring, MD. Your home, your instrument, and classes done your way. From private music lessons in the comfort of your own home to production workshops in our studio in Silver Spring, Creative Music Lessons can increase your creativity and complete your education. Music lessons on Piano, Guitar, Vocal, and Production taught in your home. Workshops and classes at our audio production studio in Silver Spring, MD. 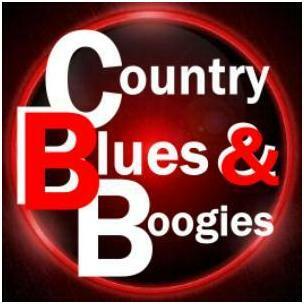 Country, Blues & Boogie music by Larry Lowe. 24/7 100% Digital Downloads. Country, Blues & Boogie music by Larry Lowe. 24/7 100% Digital Downloads. Find independent music artist news including their profile, popular songs, wallpapers & music videos only at ArtistAloud.com. Find independent music artist news including their profile, popular songs, wallpapers & music videos only at ArtistAloud.com. DIY and price efficient solutions and alternatives for the home audio recording studio. Includes info on acoustic treatment, recording studio setup, studio equipment, and much more! DIY and price efficient solutions and alternatives for the home audio recording studio. Includes info on acoustic treatment, recording studio setup, studio equipment, and much more! The Audio Cafe Recording Studio, Inc. The Audio Cafe is a full service professional recording studio in Metro Detroit, Michigan. Experienced in recording and production services since 1984. Services include music production & arrangement, mixing, voice over, short run CD duplication and consulting. Well maintained facility walking distance to restaurants and stores. The Audio Cafe is a full service professional recording studio in Metro Detroit, Michigan. Experienced in recording and production services since 1984. Services include music production & arrangement, mixing, voice over, short run CD duplication and consulting. Well maintained facility walking distance to restaurants and stores. Audio Park - since 1978, professional recording studio specializing in analog & digital music production, mastering, voiceovers & audio file restoration, enhancement & digital conversion. Audio Park - since 1978, professional recording studio specializing in analog & digital music production, mastering, voiceovers & audio file restoration, enhancement & digital conversion. Get millions of affordable, unique creatives, hand picked royalty free creatives,handpicked creatives, images creatives, stock photos creatives, vector art illustrations hand picked creatives, flash & stock videos creatives footage creatives. Get millions of affordable, unique creatives, hand picked royalty free creatives,handpicked creatives, images creatives, stock photos creatives, vector art illustrations hand picked creatives, flash & stock videos creatives footage creatives.